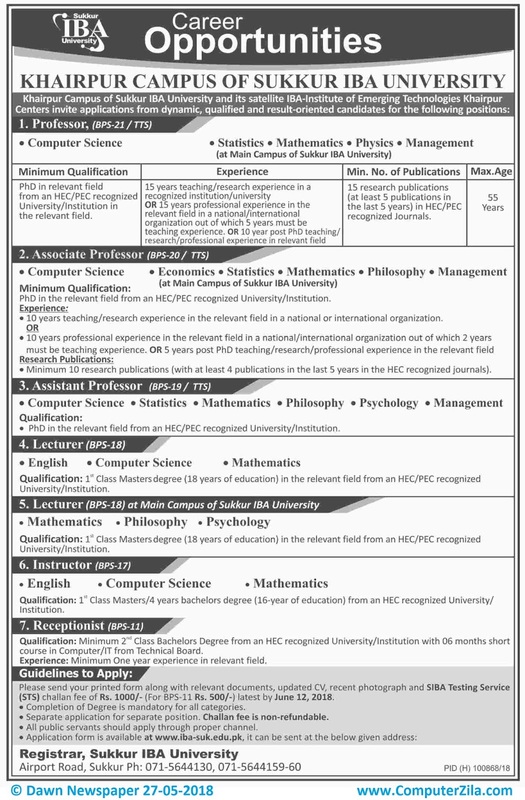 Career Oppurtunities at Sukkur IBA University (IBA) in Khairpur, and Sukkur Cities. Sukkur IBA University is a Government Organization which requires employees for Administrative, Teaching, Professor, Associate Professor, Assistant Professor, Lecturer, Instructor, and Receptionist Jobs in cities Khairpur, and Sukkur. Eligibility is mentioned on advertisement. Test will be conducted by SIBA.